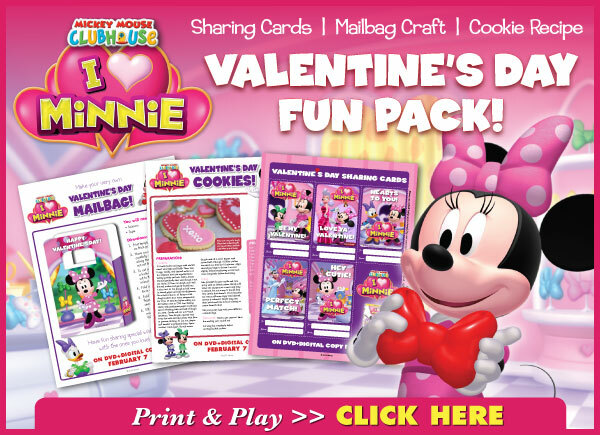 In celebration of the February 7th release of Disney’s MICKEY MOUSE CLUBHOUSE: I HEART MINNIE on DVD and just in time for Valentine’s Day, we have a free fun Valentine’s Day Fun Pack! These free printable Valentine’s Day Packs include a Cookie Recipe, Mailbag Craft, and Sharing Cards! You can find these free printables below. 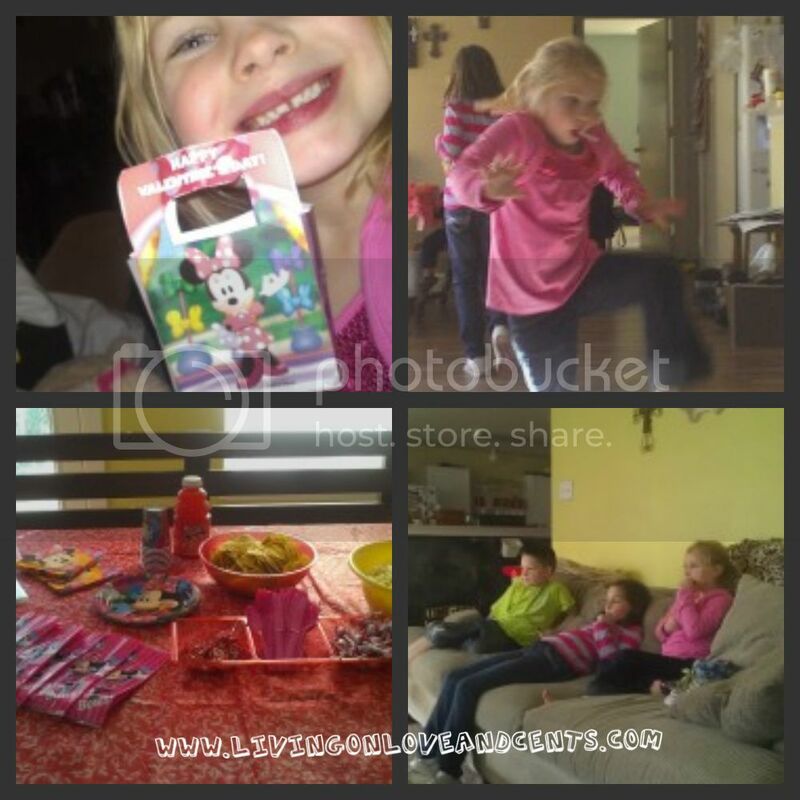 But first I want to share how we used these activities to throw a I Heart Minnie viewing party! 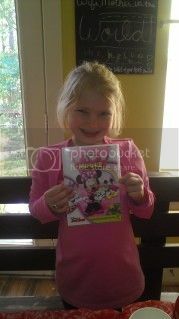 I got the new Minnie Mouse dvd in today and knew my kids would be excited. I decided this would be a fun day for a party! WHY NOT?! I went to the dollar store to get a few goodies. They have everything! I got some snacks and used some adorable Minnie plates, cups, napkins and gift bags! When the kids got off the bus I told them I had a big surprise for them. They threw down their backpacks and ran inside. I did not see their faces since they were so fast but I heard them! They all yelled! They were so excited to have a party totally out of the blue! They each made a plate of snacks and plopped down on the couch to watch Mickey Mouse Clubhouse: I heart Minnie. I loved when it was time for the OH TODDLES! All the kids would yell out what the item was that they wanted them to choose. Our party included ages 2-10 and they ALL loved it! I think Mickey Mouse Clubhouse brings out the kid in all of us! I joined in the laughs with them. Their favorite part was when they were fixing to make a cake. Mickey turned the knob to get the kitchen and up pops the bathroom. Dr John Drake was taking a bath. The laughing was loud and so much fun! 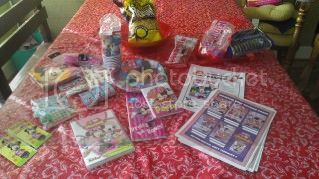 After the movie we got started on the free Minnie Mouse Valentines activities. We filled out the valentines and made valentine card holders. It was so much fun! And it was all FREE! I used the activities you can find below. Disclosure: I was sent some of the Minnie Mouse goodies to help throw this party. Free printables are courtesy of Walt Disney Studios. For more information, please visit www.disney.com.